John F. Kennedy Intl. 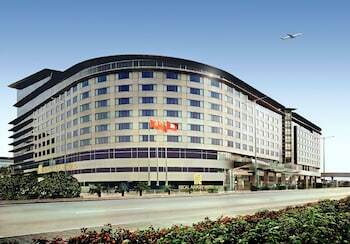 - Hong Kong Intl. San Francisco Intl. - Hong Kong Intl. George Bush Intercontinental - Hong Kong Intl. A bit of planning and research can mean the difference between a run-of-the-mill vacation and an exceptional one! Wander wisely in Tai Kok Tsui by familiarizing yourself with a few basic details about it before you fly off. 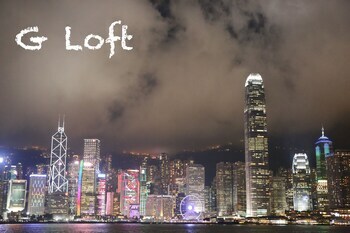 From the center of Hong Kong SAR, you'll need to head southeast for 6 miles (10 kilometers) to get to this neighborhood. Travelers to Hong Kong SAR will be rubbing shoulders with roughly 7,000,000 people. 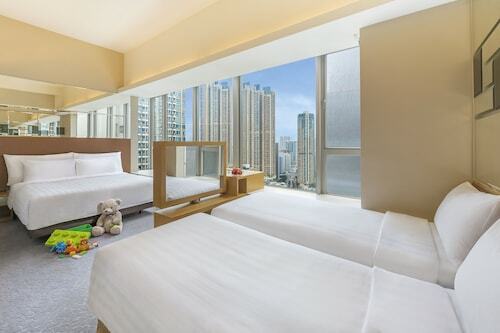 Booking a hotel and airfare bundle via Travelocity is a brilliant way to save heaps on your Tai Kok Tsui adventure. On top of that, you can pick from at least 400 airline partners and 665,000 places to stay. Our Customer 1st Guarantee offers 24/7 personal assistance on everything from accommodations and airfares to rental cars and experiences. Have you spotted an even better bargain elsewhere? We'll meet the price and give you back the difference^. Do you want to have a little security in your travel plans? All of our package bundles can be modified with no hidden charges. And so long as you get in quick, most accommodations won't charge you a fee either^. 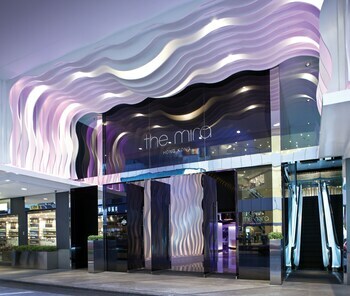 Looking to spend your evenings in Tai Kok Tsui? You'll find some tempting places to stay just minutes away. Choose from 107 properties and then start putting together your must-see list for this neighborhood! Sometimes, we all need a little bit of luxury to make us feel special. 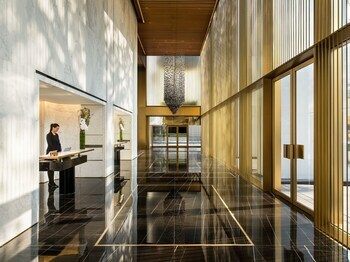 If you're searching for some luxurious accommodations near Tai Kok Tsui, take a look at The Ritz Carlton Hong Kong (Intl. 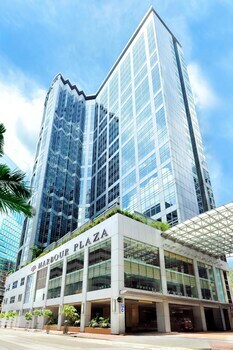 Commerce Centre, 1 Austin Rd West) and the W Hong Kong (1 Austin Road West). 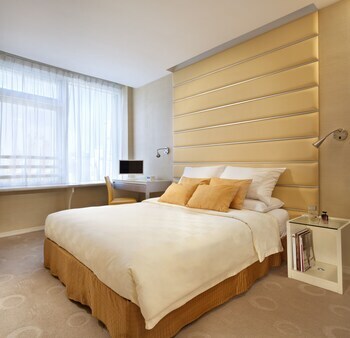 Their soft beds and lavish little extras will make you want to stay there forever! 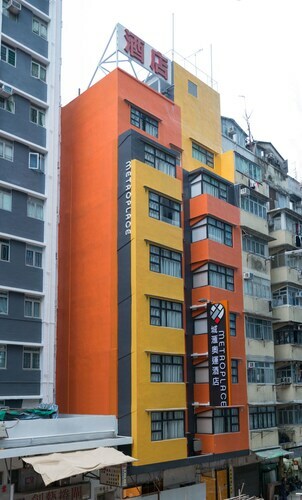 If that's not what you're looking for, have a look at the Rent-a-Room Hong Kong (7-8 Tak Hing Street, Knight Garden) or the Star Metro Hotel (Flat 1-3, 3/F, Hang Lung Mansion). You'll be able to save some bucks and still have an amazing vacation. If you're mad about Sky 100, luck's on your side! You won't have to travel far from this world-famous attraction to find a comfortable place to lay your head. The Gateway, Marco Polo Hotel and the Prince, Marco Polo Hotel are our recommendations. Where do you fly into for Tai Kok Tsui? Fasten your seatbelt, turn off your laptop and get ready to hit the tarmac at Shenzhen International Airport (SZX). Want some good news? You'll be just 30 miles (48 kilometers) to the northwest of Tai Kok Tsui. Can I rent a car in Tai Kok Tsui? Getting off the beaten track is an excellent way to discover a new place. So, why not do it from the driver's seat? Organize a rental vehicle via Travelocity and get ready to crank up your favorite playlist in Tai Kok Tsui. 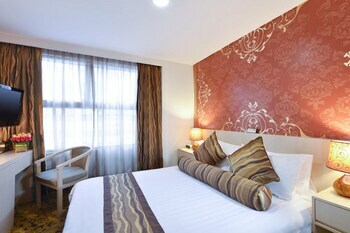 If your accommodation is around the city, check out Avis at Victoria House Building, Pbx 1227. It is positioned a mere 3 miles (5 kilometers) from the town center. Are you someone who loves looking around world-renowned sights and being near all the action? If so, Tai Kok Tsui is the ideal place for you. Set up camp there and you'll be within shouting distance of Sky 100 and Ladies' Market. If you're keen to stay in this vibrant neighborhood for a few nights, you certainly won't be bored. Wonderful attractions like Flower Market and Jade Market are just a stone's throw away. Whether you're looking for some groceries, a new outfit or a last-minute gift, you'll find it at Mong Kok Computer Centre. With a variety of stores close at hand, get ready to shop 'til you drop! Want more nearby options? Cast your gaze up — way up! International Commerce Centre is among the most prominent structures in the local skyline and one that's certainly hard to miss. But that's not all. 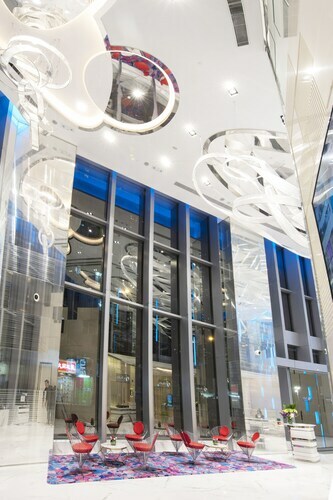 If you're eager to see where the locals do much of their shopping, head over to Langham Place Mall. Have a walk around and find out which stores they like the best. Take the chance to check out some nearby destinations such as Mong Kok or Sham Shui Po. Mong Kok is about 0.4 miles (0.6 kilometers) from Tai Kok Tsui, while Sham Shui Po is 0.6 miles (1 kilometer) away. 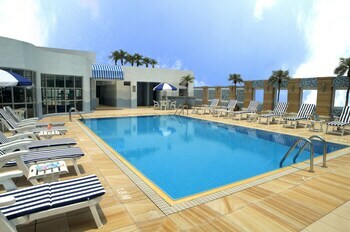 Located in Mong Kok, this hotel is within a 5-minute walk of Victoria Harbour and Nathan Road Shopping District. Ladies' Market and Temple Street Night Market are also within 1 mi (2 km). Hong Kong Mong Kok Station is 9 minutes by foot and Hong Kong Olympic Station is 10 minutes. 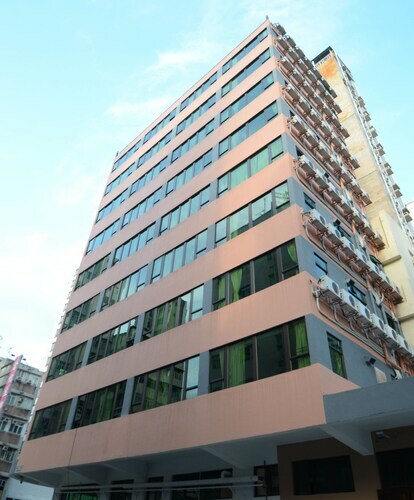 Located in Mong Kok, this hotel is within 1 mi (2 km) of Victoria Harbour and Ladies' Market. Harbour City and Hong Kong - Macau Ferry Terminal are also within 9 mi (15 km). Hong Kong Olympic Station is 6 minutes by foot and Hong Kong Mong Kok Station is 14 minutes. 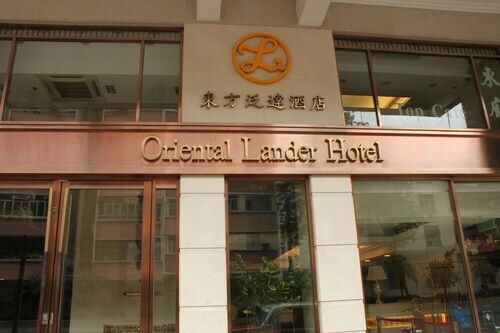 The hotel is a 5-minute walk from Olympian City Shopping Mall, 10-minute walk from Langham Place, and 15-minute walk from Fa Yuen Street and the Ladies Market. Central station is only a 14-minute train ride away. 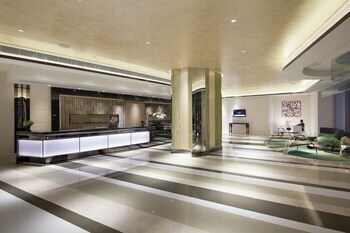 Located in Mong Kok, this hotel is within a 15-minute walk of Victoria Harbour and Nathan Road Shopping District. Ladies' Market and Temple Street Night Market are also within 2 mi (3 km). 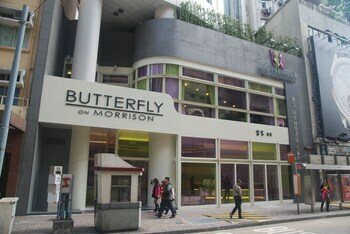 Hong Kong Olympic Station is 5 minutes by foot and Hong Kong Mong Kok Station is 15 minutes. 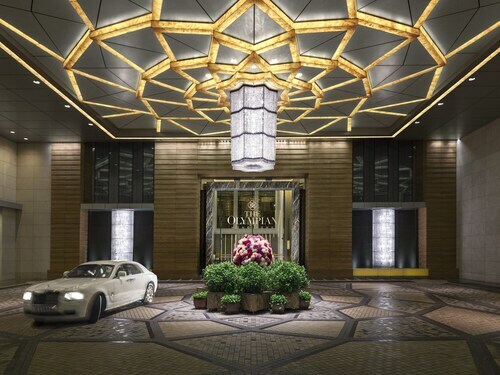 Located in Mong Kok, this luxury hotel is within 1 mi (2 km) of Olympian City Shopping Mall, Victoria Harbour, and Nathan Road Shopping District. Ladies' Market and Temple Street Night Market are also within 2 mi (3 km). Hong Kong Olympic Station is 10 minutes by foot and Hong Kong Nam Cheong Station is 13 minutes. 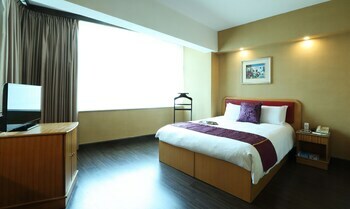 Located in Mong Kok, this hotel is within a 10-minute walk of Nathan Road Shopping District and Victoria Harbour. Ladies' Market and Temple Street Night Market are also within 2 mi (3 km). Hong Kong Prince Edward Station is 8 minutes by foot and Hong Kong Sham Shui Po Station is 10 minutes.